Together with Hurricane, Spitfire Mk.I was the symbol of Battle of Britain. 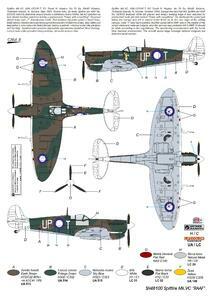 At the end of 1940 was obvious that Spitfire Mk.I and it slightly improved version Mk. II will not be able to compete in aerial fights with new versions of German fighters and bombers. 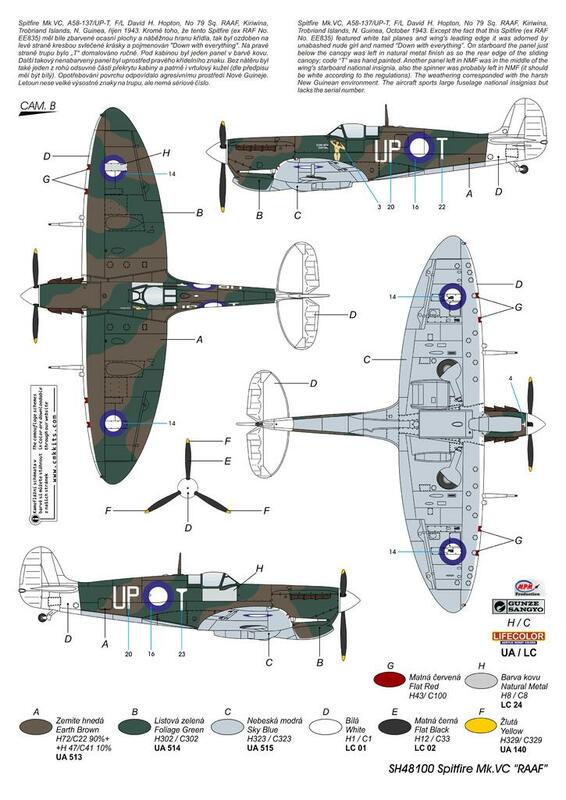 Though, it was assumed to produce Mk.III version powered by Merlin engine equipped with two-stage supercharger (never produced at all) it was decided to order alternative small series of Spitfire Mk.V. It was Spitfire Mk.I/II airframe with new engine bed for Merlin 45 engine with higher output. Due to the engine installation the oil cooler was slightly modified. The first series used the already produced airframes of Spitfire Mk.I/II. These became the Mk.VA version equipped with eight 7.7 mm machine guns and Mk.VB version equipped with two 20mm cannons and four 7.7 mm machine guns. The mass production focused on the Mk.VB version. The Mk.VC version that featured strengthened wing was introduced in production in 1941. This improvement provided space for various armament combinations. New Spitfires became the RAF's main offensive weapons in war over Europe and subsequently over other battlefields like Malta, Africa, Australia, Italy, Greece, Yugoslavia and India. 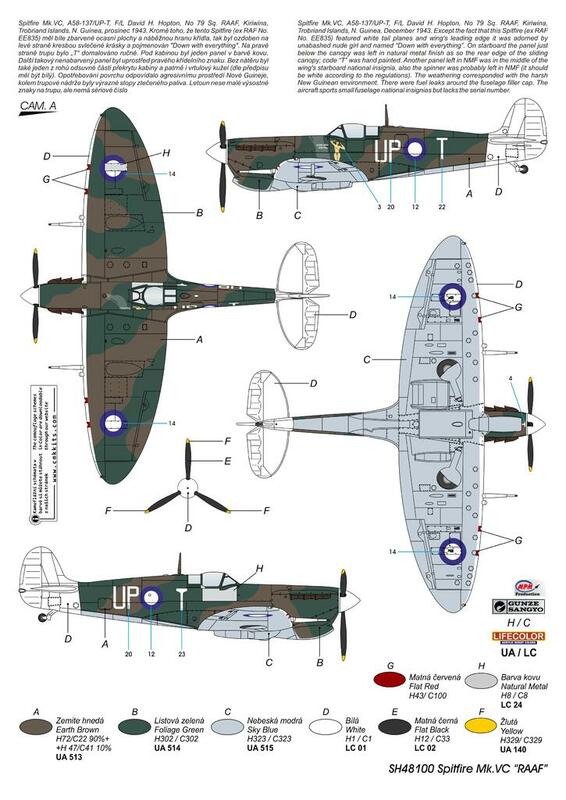 Thanks to the mass production, Spitfire Mk.VC was continually developed. Several types of propellers, spinners and anti-dust filters were installed. Late production Spitfires were powered by Merlin 50, 55 and 56 engines with membrane carburetors. Also, the wings were modified according to the requirements. 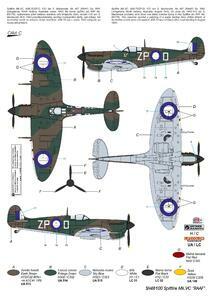 Spitfire Mk.VC served with typical wing tips as so with clipped wings or lengthened high altitude wingtips. New wing had also provision for bomb racks so the aircraft could be used as fighter bomber. Even though new Spitfire versions powered by Merlins with two-stage superchargers were introduced, Mk.VCs were used over Europe up until 1944. In several other theatres this version served until the end of the war. 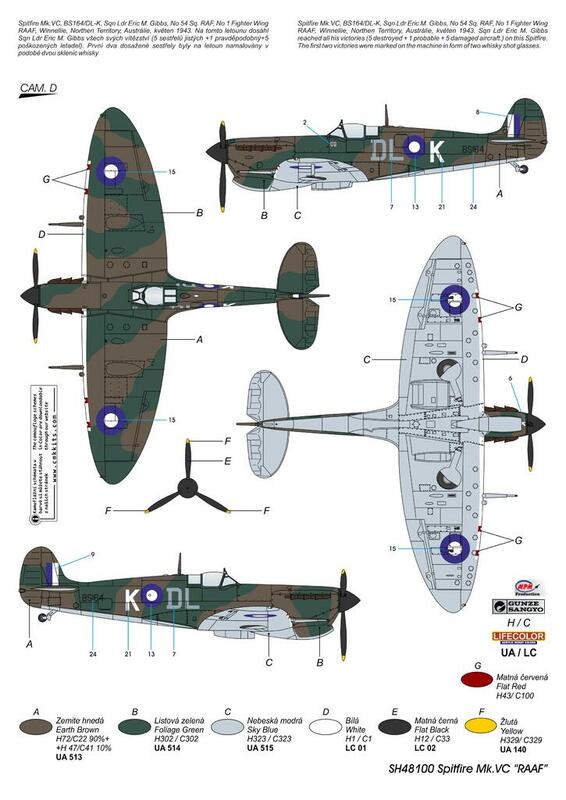 Mk.V became the most produced Spitfire version at all. More than 6500 aircraft of this version was produced. Wingspan: 11.22 m, Length: 9.11 m, Max. Speed: 574 kmh, Range: 756 km, Service Ceiling: 10,820 m.